Most people who have ever taken a baby on a plane are probably familiar with the cheap and simple treatment U.S. airlines have for lap infants. For children under two years old who will not be occupying their own seat, an adult may take one lap infant for free (other than possibly some small taxes and fees). What’s also great is that lap infants don’t even have to be declared at the time of booking – only at the time of check-in. However, when traveling with a lap infant internationally it’s a whole different story. 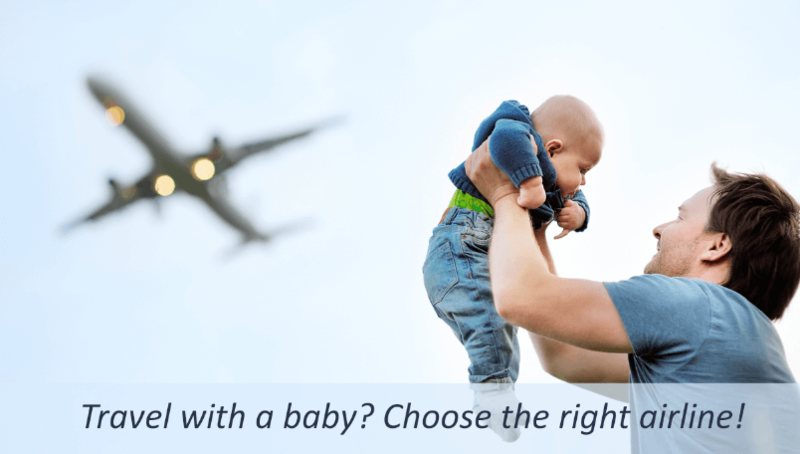 Taking a baby on a plane will definitely cost you and rules vary widely by airline. A significant amount of research is required to find the best alternative depending on where you want to fly, in which programs you have sufficient miles, etc. In this post, we will cover the costs and process of booking lap infant awards as well as highlight some of the best and worst options. Lap infant award costs vary significantly by airline, but the most common charge is 10% of the revenue fare. The revenue fare part is key – that means if you scored yourself a premium cabin award using miles for a ticket that would normally cost $6,000, your lap infant will cost $600. One thing that is very consistent across airlines is that taxes and fees are charged as well, so watch out for airlines with high fuel surcharges. All 3 of the U.S. legacy carriers (American, Delta, United) charge the standard rate: 10% of the adult revenue fare, plus taxes and fees. The following chart is a fairly comprehensive list of lap infant fees for a variety of airlines. While many airlines are excluded, we attempted to narrow the list to airlines which are often used by U.S. flyers, are transfer partners of major credit card programs, or have particularly good or bad lap infant fees. We have also listed applicable airline alliances since frequent flier programs are often used to book flights on partners. Cathay Pacific is generally a great airline and a popular one for travel hackers using miles with certain programs. Unfortunately, they have a different cost structure for flights to and from U.S. than for the rest of their flights. Flights to and from the U.S. carry a lap infant charge of 25% of the revenue fare. A business class flight from the U.S. to Asia on Cathay will often run at price of around $6,000, meaning you would have to pay $1,500 for the privilege of carrying your little one on your lap. No thanks. A special note here: Cathay Pacific premium cabin awards are a very popular redemption when using Alaska miles due to their significantly below market prices. However, Alaska will not issue partner lap infant awards and you must contact the operating carrier. Therefore, Cathay’s policy applies and you would have to pay 25% of the revenue fare, offsetting a significant portion of the mileage savings. Flying Blue (Air France and KLM) does not issue partner award tickets, even for individual segments. Therefore, it is extremely cumbersome to use their miles for any flight involving a partner. Air Canada charges low flat fees depending on class of service which can be paid in dollars or miles; a unique structure in the industry. British Airways is one of the few airlines that charges the lap infant award fee (10%) in miles instead of dollars. In addition, they have a very comprehensive section regarding traveling with children on their website, including how to book a ticket for a child who isn’t born yet. They are clearly one of the most child-friendly airlines in the world. Asiana is another program that charges 10% for lap infants in miles instead of dollars. They have an amazing first class product with fully enclosed suites, which is something to consider if you want to take care of your baby in privacy without disturbing other passengers. Korean charges their 10% fee in miles instead of dollars and they have amazing first class award availability from the U.S. Since U.S. SkyTeam partner Delta doesn’t allow first-class partner awards, there is much less competition for these seats than you would find on other airlines. The first-class product on their 747-8i aircraft offers a fully enclosed suite. Both Korean airlines mentioned here have cumbersome requirements for proving family relationship to book award tickets, so begin the process early if possible to collect the appropriate documentation. The Miles & More program only charges taxes and fuel surcharges for lap infant awards. Flyers can accrue miles in this program by transferring from SPG or with the co-branded credit card from Barclaycard.